Resistance thermometer (Pt100) with 316 stainless steel sheath and solid stainless steel head (LS). 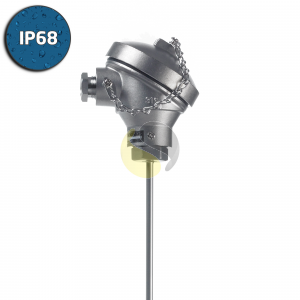 This head assembly is commonly used in industrial environments due to its high resistance to corrosion. 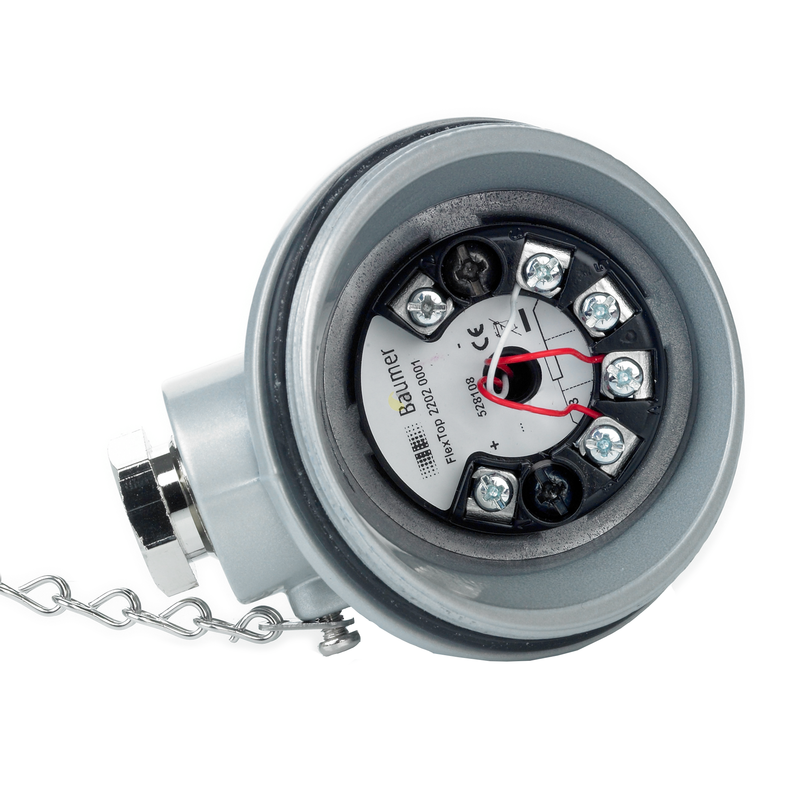 It has a 3 wire Pt100 detector, available in Class A or B, with a 6mm or 8mm diameter stainless steel sheath, supplied in a length to suit the application. 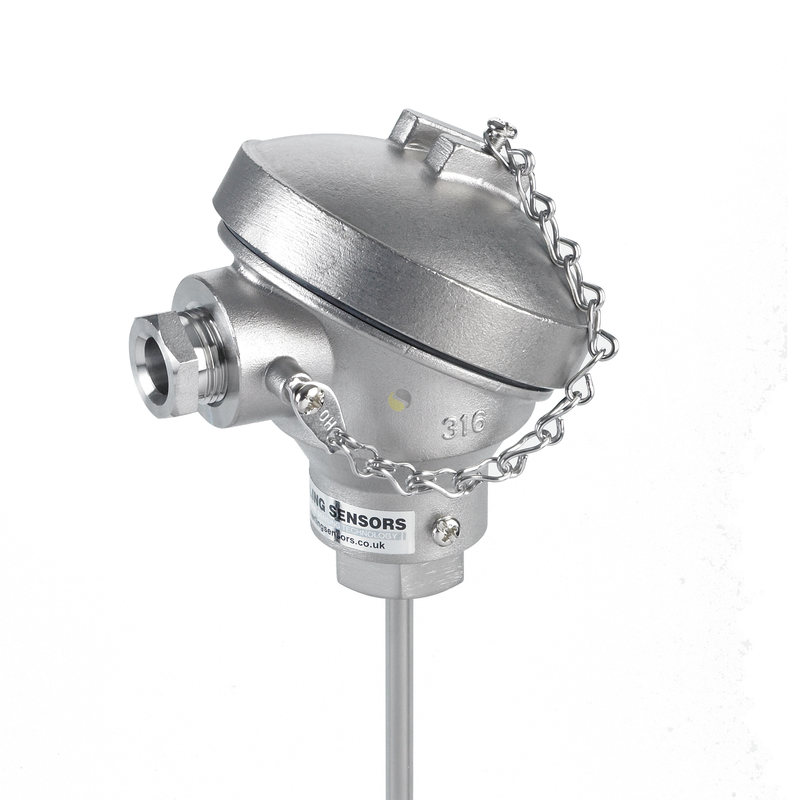 The rigid stem probe is ideal for general purpose temperature measurement as it provides the element with protection from many liquids and gases. The screw top IP68 stainless steel (LS) weather-proof head is ideal for hygienic and corrosive applications. It has a M20 cable entry and comes with a ceramic terminal block or optional in-head transmitter.